Have you ever been to the Iranian netherworld of Bad City? No? Well it’s awesome! Black and white, ultra-hip, throbbing with 80’s music and vintage cars. Of course, it is ravaged by plague, haunted by vampires and burdened by drugs, crime and male violence. But nowhere is perfect. I could talk to you about plot. There’s a young guy who appropriates a cat. And this cat gives a great performance! And the dude’s trying to pay off his dad’s debts, the legacy of an opium addiction. He meets a rich girl and something starts to spark, but he steals her earrings instead of her heart. The girl he falls for next is a bit more bohemian, and a vampire. They meet after he leaves a party high, dressed as Dracula, and asks her for directions. Every second of the scene is witty. Oh, and they have a prostitute friend in common. But not like that sounds. So yeah, the plot isn’t really the point. Director Ana Lily Amirpour is more interested in making individual shots and scenes work then in worrying about the big picture. That’s mostly fine with me. Especially since the shots, immaculately lit, crisply composed and tightly staged, are so incredibly good. 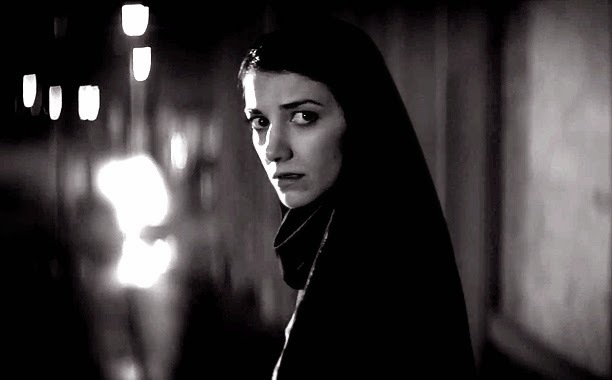 That said, A Girl Walks Home isn’t exactly style-over-substance: the subtext here is frightfully loaded with delightfully weird feminist vibes and bristles with little daggers pointed at parental, patriarchal, political and religious authority. And even if I’m not really sure what anyone is thinking or why they do what they do, I like the mystery. 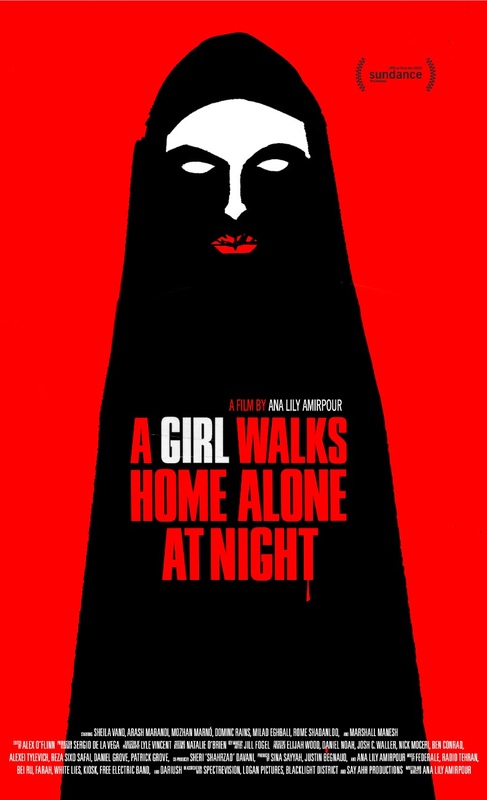 This is a horror film for people who enjoy their chills moody, modish and a bit hard to pin down. It is destined for culthood. This was absolutely the best movie of 2014. A unique story, with beautiful and stylish cinematography makes this a movie you should not miss! Nothing compares to the way this story was told. If I had to rank it as a vampire movie it'd be my favorite vamp movie ever, not that I have many. Beautifully shot, beautifully told. Just an awesome story told in such an unconventional way. Everyone should definitely check it out.